He just gets better and better each year in the NBA. After a three year contract with the Orlando Magic, AVC’s big man is a restricted free agent this year which means if Dewayne signs a offer sheet with the Warriors or any other NBA team, the Magic could match the offer and keep the big man. We knew a lot of teams were interested in the seven footer, but the Warriors? Can life get any better baby? Did I just hear someone say Lakers? 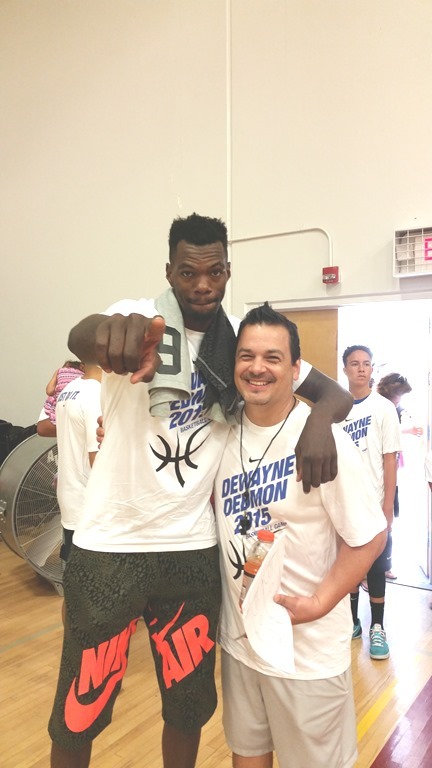 It appears that Dewayne Dedmon is on the Warriors’ radar. Golden State has expressed interest in the 26-year old big man, according to a report. During the 2013-14 season, Dedmon appeared in four games for the Warriors. He played six total minutes and scored one point. That same year, he played in 15 games for the Santa Cruz Warriors. He averaged 15.2 points, 13.5 rebounds, 1.5 steals and 2.3 blocks per contest. Dedmon, who played collegiately at USC, played in 59 games (15 starts) for the Magic in 2014-15. Last year, he averaged 4.4 points and 3.9 rebounds over 58 games (20 starts) for Orlando. The Magic extended a qualifying offer to Dedmon, which means he is a restricted free agent. Should Dedmon sign an offer sheet with the Warriors, or any other team, Orlando would have 72 hours to match.